The revolutionary electro-mechanical movement of the élégante, its very long autonomy and its exceptional comfort of use is now available in 48mm. The pure aesthetics of the flat Tortue case, whose design is trademarked, doesn’t lose any of its elegance and establishes a contemporary urban style. 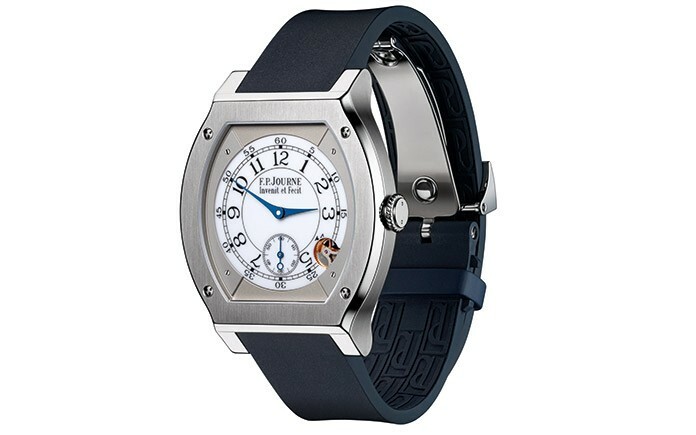 It is enlarged for the pleasure of larger wrists or for those who like to wear oversized watches. 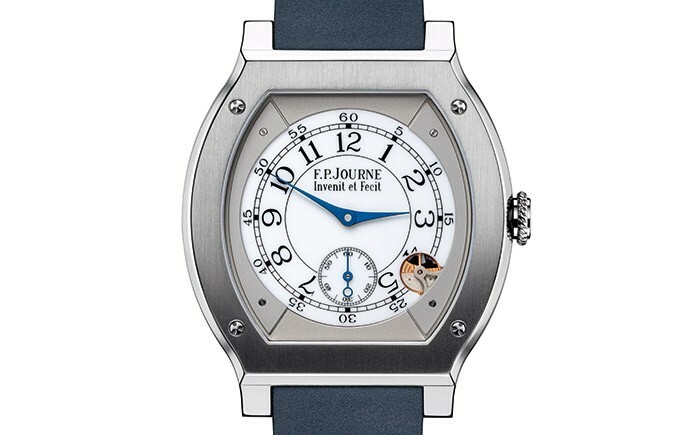 8 years of research were necessary for F.P.Journe to develop this innovative electro-mechanical concept. The calibre 1210 provides a great comfort of use and the performances of an electro-mechanical watch combining reliability and precision. 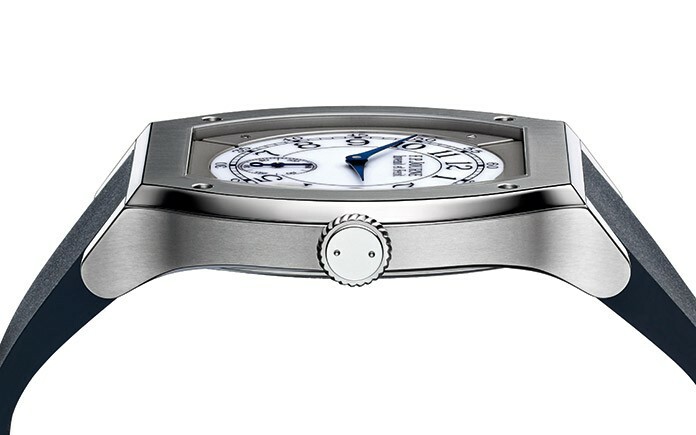 The élégante features the only electro-mechanical movement conceived and created for the luxury market and offering a true vision of luxury. Adapted to modern life rhythm, the faithful élégante F.P.Journe goes in stand-by mode after 30 minutes motionless, the mechanical motion detector visible at 4h30 is at rest. During this standby mode, the micro processor continues to keep time, while the mechanical parts, gears, rotors and hands stop turning. Thus the energy saved provides a very long autonomy from 8 to 10 years in daily use, while up to 18 years in standby mode. When moved, the élégante sets itself automatically to the current time, taking the shortest path – either clockwise or counter clockwise. The elegante is an F.P. Journe – All the mechanical parts of its movement are manufactured in the Geneva workshops of the Manufacture, based on the brand’s own criteria of excellence in state-of-the-art haute horology. The electronic components are developed by a Swiss engineer and made in Switzerland according to exclusive and exacting standards, with a microprocessor specifically created for the elegante. The luminescent dial of the élégante provides perfect legibility, by day and by night, and in the dark, the hands count off the hours, as in a shadow theater. The ergonomic shape of the dark blue rubber strap perfectly embraces any wrist. It is completed with a deployment clasp in Steel and Titanium. The élégante will be available in the 10 F.P. Journe Boutiques, the 9 Espaces as well as from selected official F.P. Journe retailers.